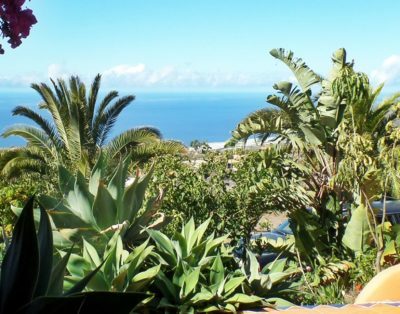 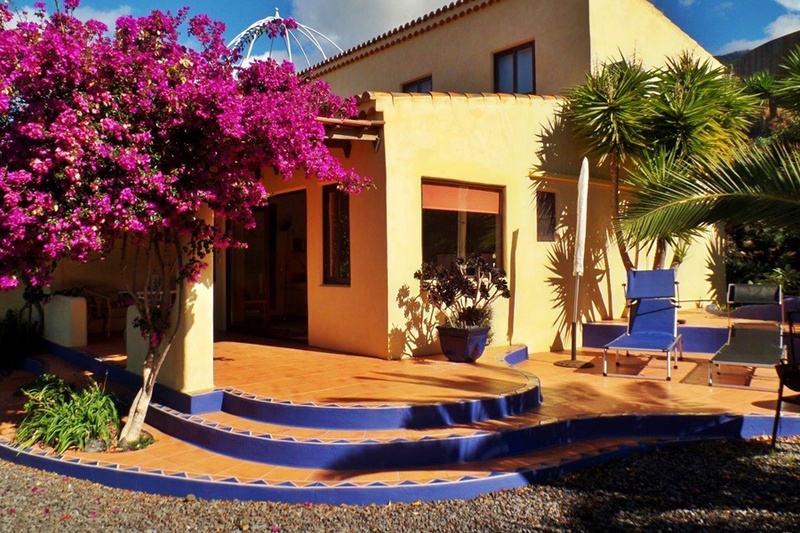 The Finca “La Mañana” is located – adjacent to a nature reserve – on the west side of the island of La Palma, 500 m above sea level, on the southern edge of Las Manchas de Abajo. 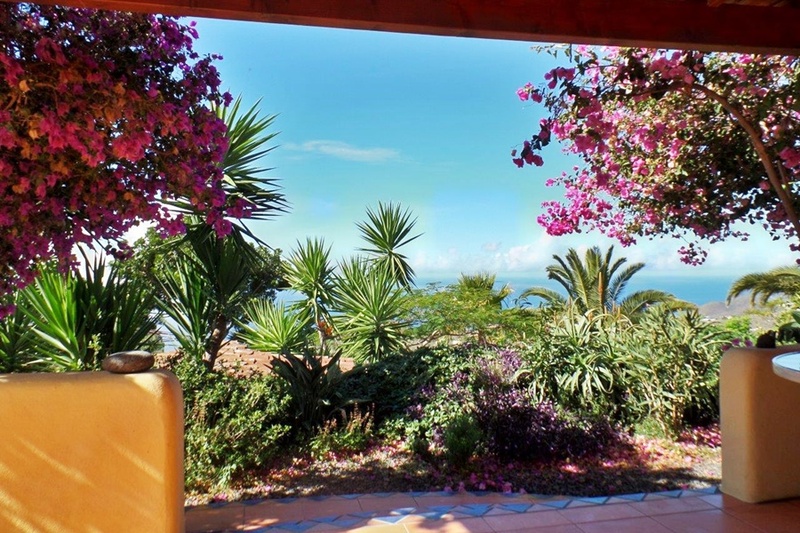 It has a great view of the mountains, the sea and the sunset. 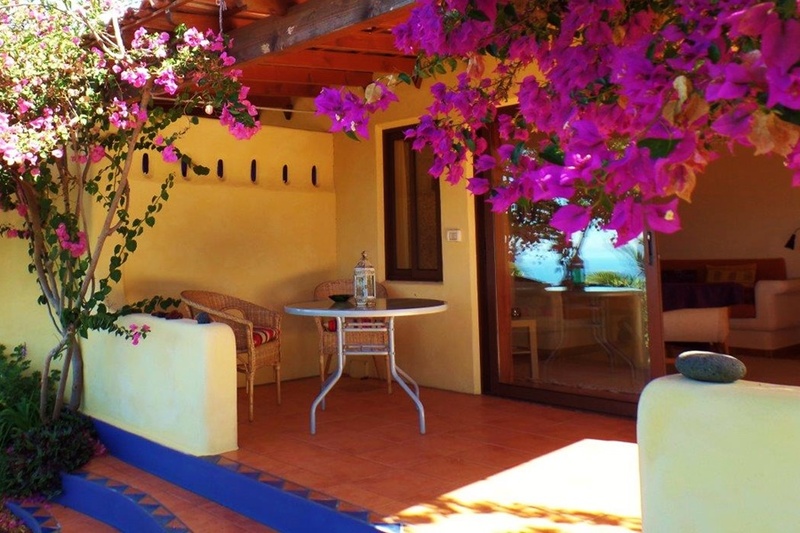 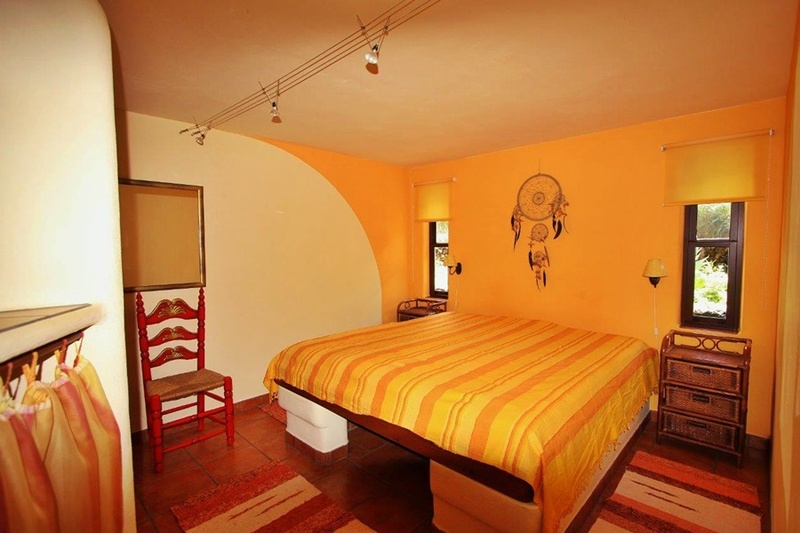 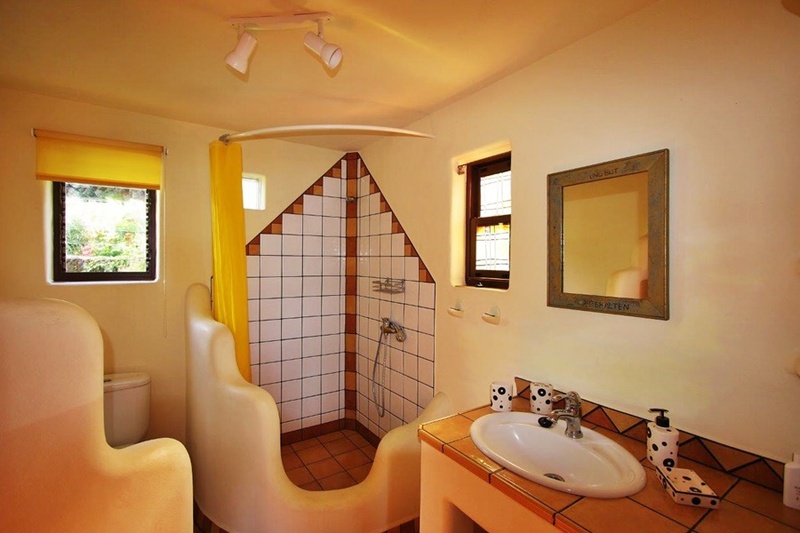 The lovely holiday house “La Mañana ” is situated on a raised terrace and offers a breathtaking panoramic view. 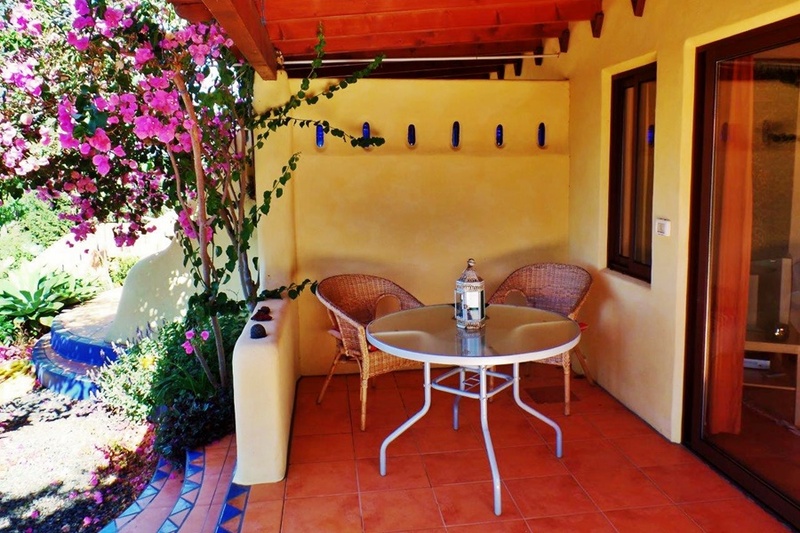 The individual living areas are placed around a picturesque courtyard and a tropical style garden. 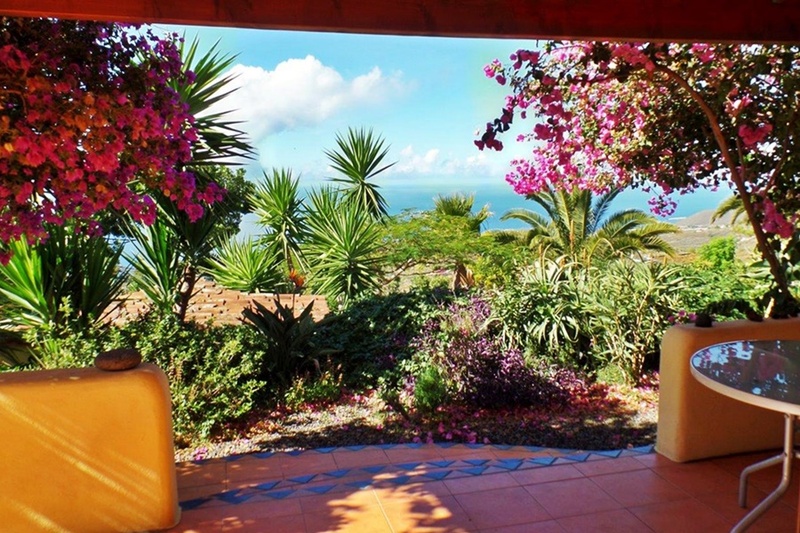 Every apartment has his own private terrace. 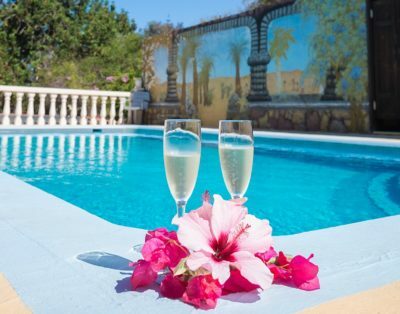 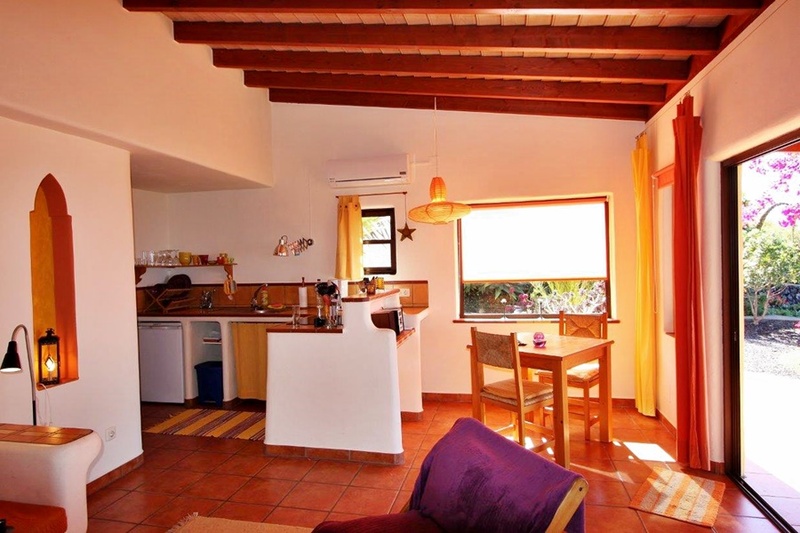 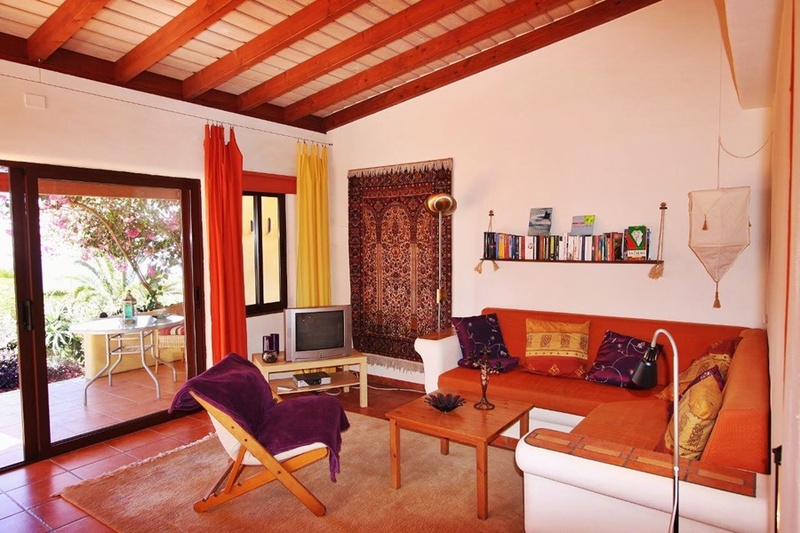 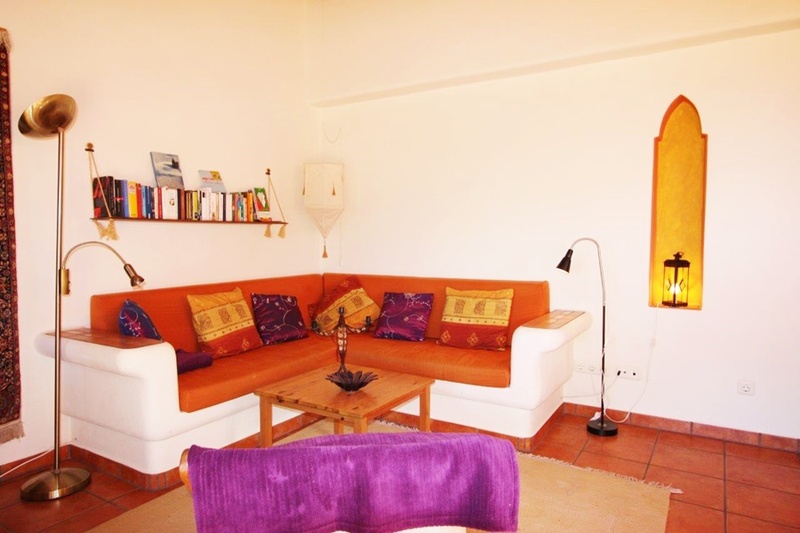 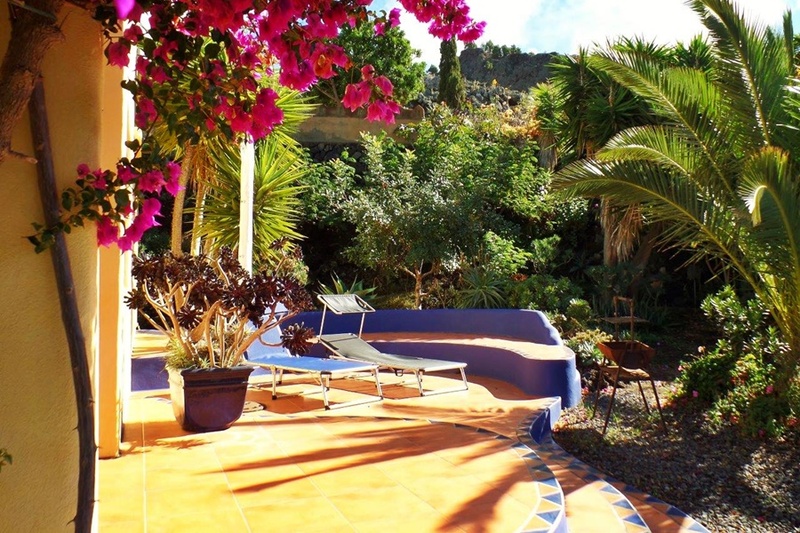 Attached to the main house of the estate there are the two beautiful apartments , this lovely casa Luna and Estrella . 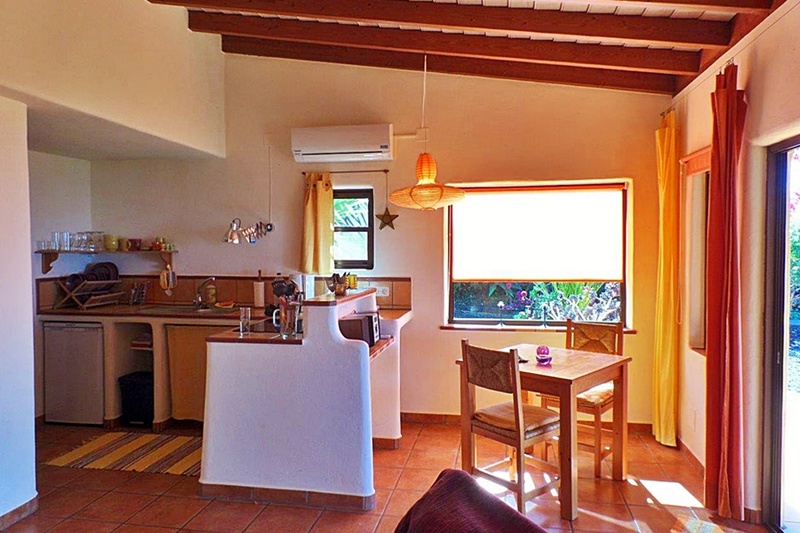 The 45 sqm casa Luna consists of a large living and dining area with an integrated kitchen, one separate bedroom and a bathroom. 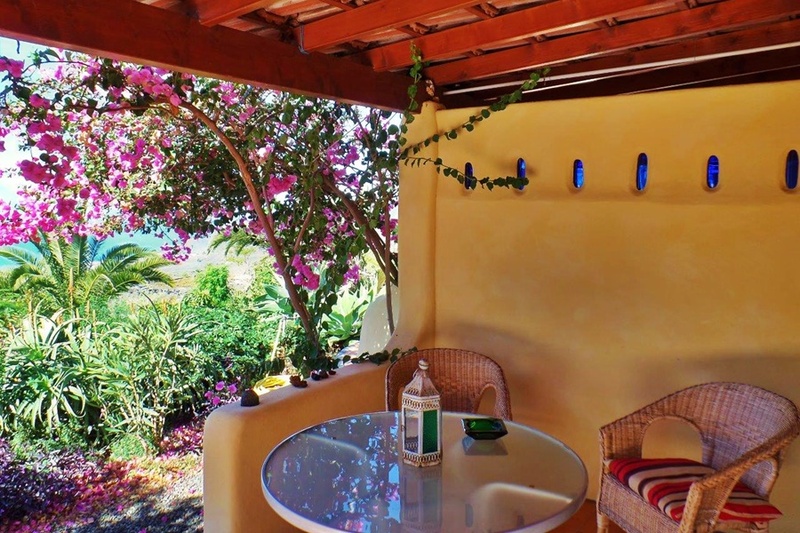 Next to the covered patio, in front of the living room, there is an additional sun terrace around the corner of the apartment. 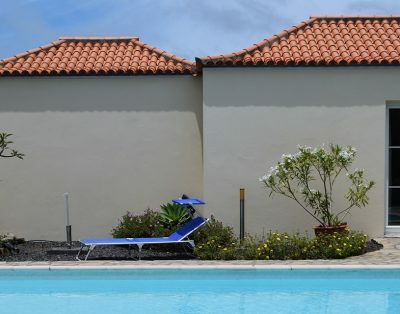 Amenities: satellite TV, radio / CD player, internet access, air conditioning, cooking and dishes, coffee maker, toaster, linens, towels, hair dryer, cot and high chair, garden furniture, parasol, barbecue.